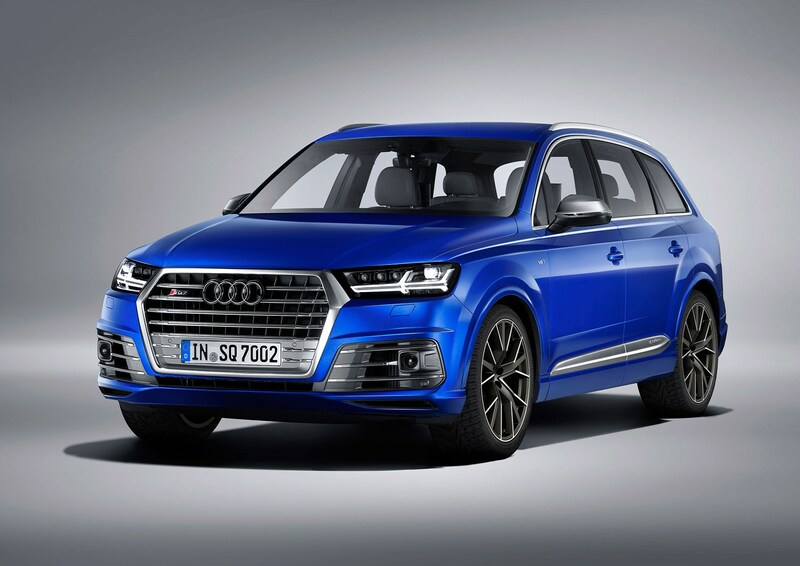 Audi has beaten its rivals to market with the world's first electrically powered supercharging technology on a production car, with its new high-performance V8 diesel SQ7. We've seen the technology discussed previously on concept cars but the fastest Q7 is unveiled today, goes on UK sale in May and the first customer cars land in August 2016. How does the SQ7 make its boost? At the heart of the maximum Q7 is a new 4.0-litre V8 turbodiesel. It has a pair of conventional turbochargers, acting sequentially - the smaller, lower inertia blower for use at low engine speeds, before the larger one takes over once the revs (and exhaust gases) are flowing fully. However, also in the diesel's intake tract – and downstream of the intercoolers – is an electrically driven centrifugal supercharger, which is powered by the SQ7's new 48-volt electrical subsystem. It spins up far faster than the turbochargers, quickly generating the boost the engine needs to perform properly at lower speeds and when moving off. This should, in theory, banish lag – it works independently of the turbochargers and provides adequate boost for the engine until the first turbo's up to speed, and generating positive pressure, at about 1500rpm. The company claims full boost is delivered in less than 250 milliseconds. We'll find out for sure when we drive the SQ7 this spring.